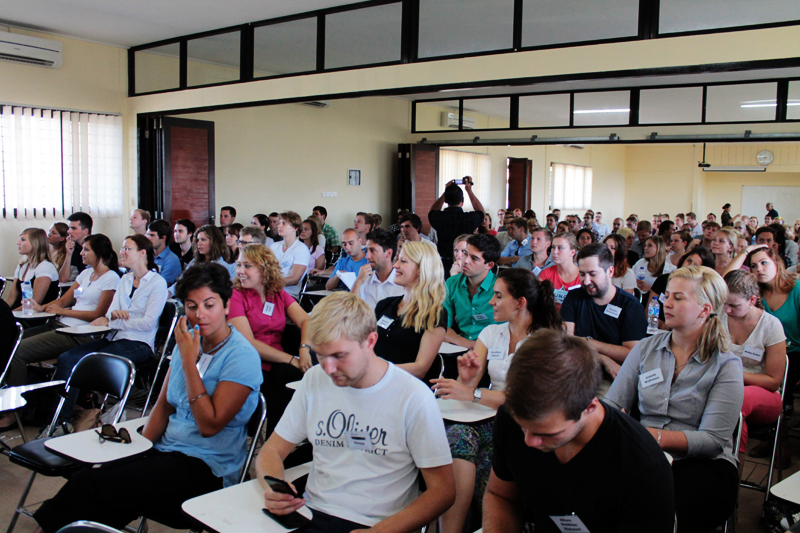 Finally, this is the first blog entry about the autumn semester 2013 in Bali. For the new readers: as you can see, this blog has been in use already during the spring semester 2013 and now it's going to be used more frequently than it was during the spring (the plan is to have one blog post in English every week). For this blog's old readers: from now on this blog has a new writer. I'm Juuso, Asia Exchange's intern during the autumn semester that began here in Bali last Monday :) I'm especially responsible for writing blog posts and articles about the student life in Bali. A little bit more information about me can be found on this blog's sidebar. My goal is to give as wide picture about student life in Bali as possible. 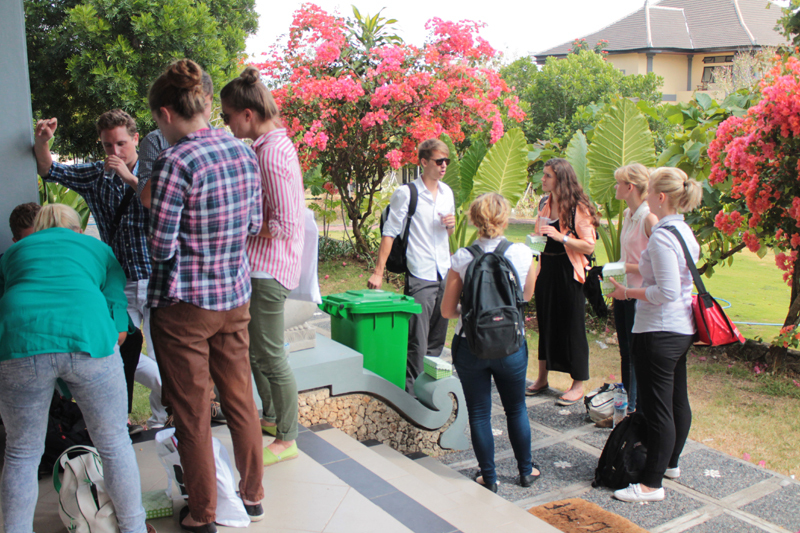 The first week was very busy for the new students in Udayana university. First there were the orientation days in Monday and Tuesday. After that students had their first official school days on Wednesday, Thursday and Friday. Normally the school week at the campus area in Jimbaran lasts only from Monday to Wednesday (excursions and workshops are held Thursdays). So it's no surprise that most of the students were a little bit exhausted on Friday. 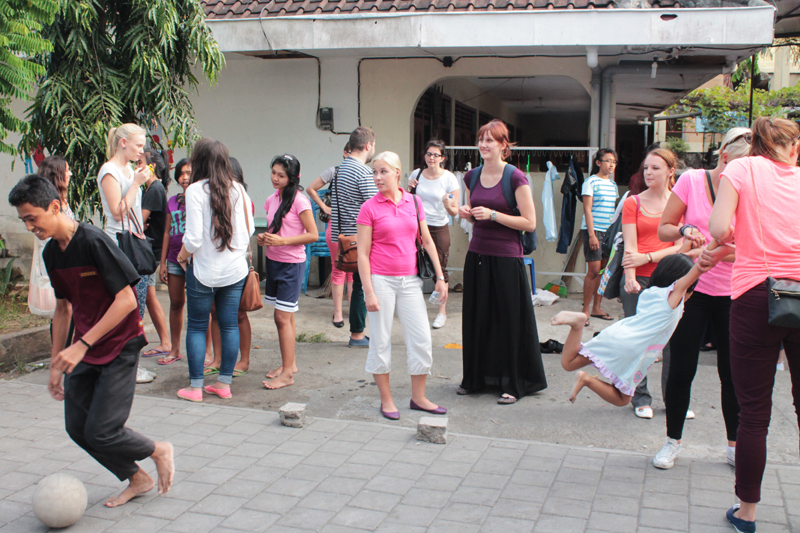 Luckily Asia Exchange had organized well-deserved ice-breaking parties both on Friday and Saturday. But before the parties could start, there was the first school week that started with the orientation days that were really interesting. Monday's program began with the traditional Indonesian dance show that lasted almost 10 minutes and was very imressing to say at least. It's hard to describe it if you've never seen it and you really should see it live in front of you. 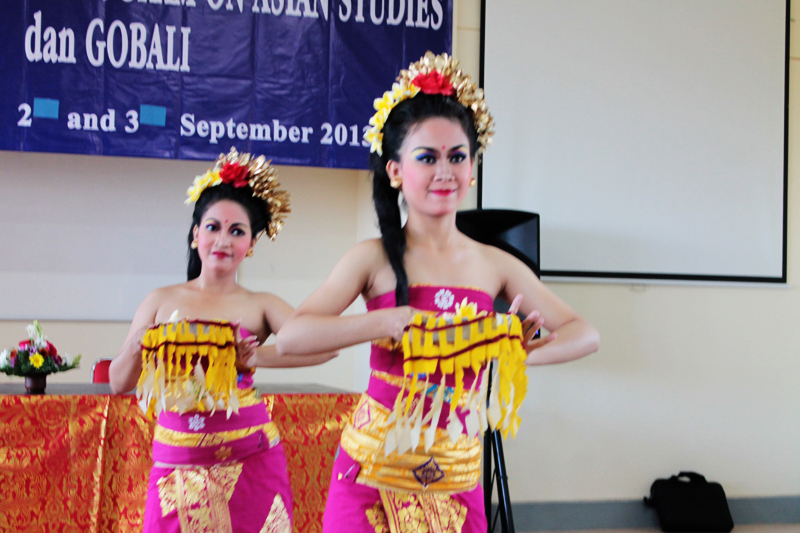 After the traditional dance show, the first orientation day continued with an information about Asia Exchange and Udayana university. It was nice to see that even the local television channel (Bali TV) was interested in filming the beginning of the international student's new semester. They also interviewed Asia Exchange's managing director Harri Suominen and my intern colleague Jana. The first school day started at 9AM and was over before 2PM. The second day started also at 9AM (like most of the school days here in Bali) but it lasted a little bit longer because in the afternoon students got a chance to visit Seeds of Hope children's home. As part of Asia Exchange's charity program, AE makes a donation of 30 USD per each of our exchange students to Seeds of Hope. The money is used to make the children's living conditions better and support their education. Every one of the children in Seeds of Hope (that are old enough) studies in a school. It's still good to remember that money isn't everything: the really big part is also to care and to be part of the children's life. That's why you can apply for fulfilling your internship in Seeds of Hope with Asia Exchange's help. At this moment there's one intern in Seeds of Hope, Jutta from Finland. She's working until December. After that next possible starting day is 6th January 2014 and you can send your application until the end of this month (September 2013). But even though you wouldn't be fulfilling your internship in Seeds of Hope, at least you really should visit the place when you're in Bali. It's so wonderful to see how important and good work everyone in Seeds of Hope are doing. The children's home was founded by an old couple Sandra and Tommy who really seem to love every one of the kids (over 60 of them) like they'd be their own. Everyone in Seeds of Hope seems to be a one big loving family. The older children are taking care of the younger. During our visit the children performed a musical show and after that we got a chance to speak with them and hear about their everyday life. I think many students were touched after the visit and so was I. So, the visit in Seeds of Hope was definitely the best possible way to end the orientation days. But after that students had three more days in the university because all of their courses began during the following three days. I had time to attend only Bahasa Indonesian (Indonesian language) but it was so interesting and especially useful! Already after two lessons I could use a little bit Bahasa Indonesian when a policeman stopped me during the previous weekend when I was driving my scooter. And I'm pretty sure I'm not the only one whose life has already gotten easier with knowing few words of Indonesian. And even though I haven't had time to attend the other courses (yet), I will do it later. I've also heard that most of the other ones (Indonesian history, Business law, Indonesian literature, tourism management and economy of South East Asia) have been very promising. So, that was the first week in Bali. Full of happenings and new things (and maybe a little bit culture shock) but also one of the best weeks ever, I hope. And of course the first week also included the weekend's parties but that's a completely other story that I'm going to talk about later.